But I am using a 64 bit Windows 8, and trying same .iso for trying Ubuntu. Then what is the problem? To be able to run a 64-bit OS in Virtual Box we have to make sure the virtual machine's architecture is set to 64-bit too. In the System -> Acceleration tab we may want to enable the hardware virtualization features VT-x/AMD-V of your CPU. On the host system we may have to enable hardware virtualization in the BIOS. In some systems a host BIOS option to prevent non-trusted execution needs to be turned off (source). Open the virtual machine settings. Go to the Version dropdown box (General > Basic > Version). If you don't see "Ubuntu(64 bit)" as an option in the dropdown, it means that virtualization is not enabled on the host. Reboot the host, go in to BIOS and enable Virtualization. Exit the BIOS, making sure you save changes. Now, you should see all the 64 bit options in the Version dropdown box. 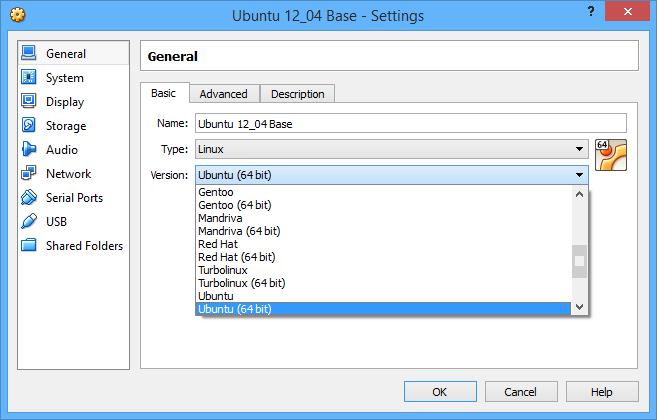 Do this: download the 32 bit Ubuntu iso. ESPECIALLY if when downloading Ubuntu on your virtual box, you chose to allocate less than 2GB of memory. 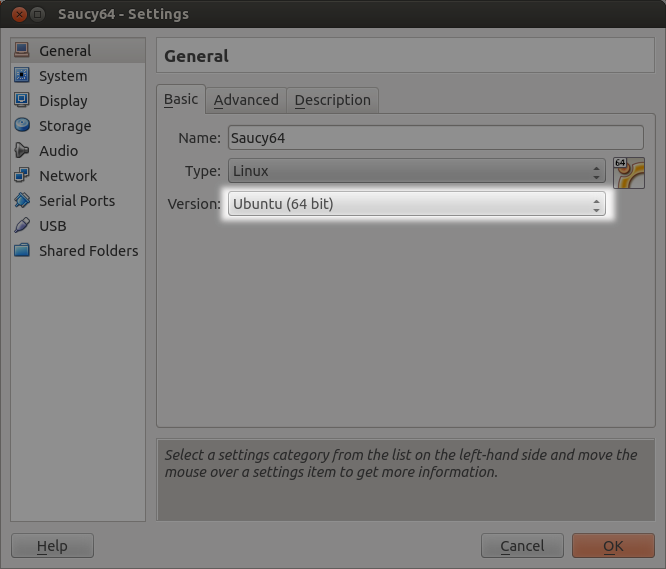 Why if my system is 64-bit, I can't install Ubuntu 64-bit in virtual box? this kernel requires an x86-64 CPU, but only detected an i686 CPU But i have a 64bit PC! Why ubuntu cannot work in virtualbox? How Can I Run Ubuntu via my VM? How can I specifically download the 64-Bit version of Ubuntu?